In December 1862, the Union Army was attempting to dislodge a Confederate force from well-defended positions in the heights above the city of Fredericksburg, Virginia. In the series of ill-conceived frontal assaults, one Union unit charged the Confederate lines six times in a valiant and hopeless effort to break through. ... take his stand proudly by the side of the native-born, and will not fear to look him straight and sternly in the face, and tell him that he has been equal to him in his allegiance to the Constitution. The casualties the Irish Brigade suffered at Fredericksburg underscore the scale of the disaster of that battle for the Union. Almost half of the brigade were killed or wounded in the assault. Indeed, by the end of the Civil War, only two other brigades in the Union’s Army would suffer greater casualty rates. To this day, the armed forces remain a vehicle for individuals interested in becoming American citizens. Military service in the 1860s may have been a useful vehicle for newcomers to establish their American credentials, but to the war effort, immigrant soldiers were truly indispensable. Approximately one in four soldiers in the Union Army were immigrants. These Irish, German, Dutch, French Canadian, Scandinavian, Italian, Polish and Mexican soldiers often did not share the language or religion of their native comrades, but they died side-by-side with them during America’s bloodiest war. To this day, the armed forces remain a vehicle for individuals interested in becoming American citizens. During my own time in the military, I served with men and women from Mexico, Canada, Lebanon, Kenya, Pakistan, Ireland, India, Senegal, Ethiopia, China, the Philippines, Hungary, Guatemala and Singapore. This incomplete list is entirely off the top of my head — there were many others. 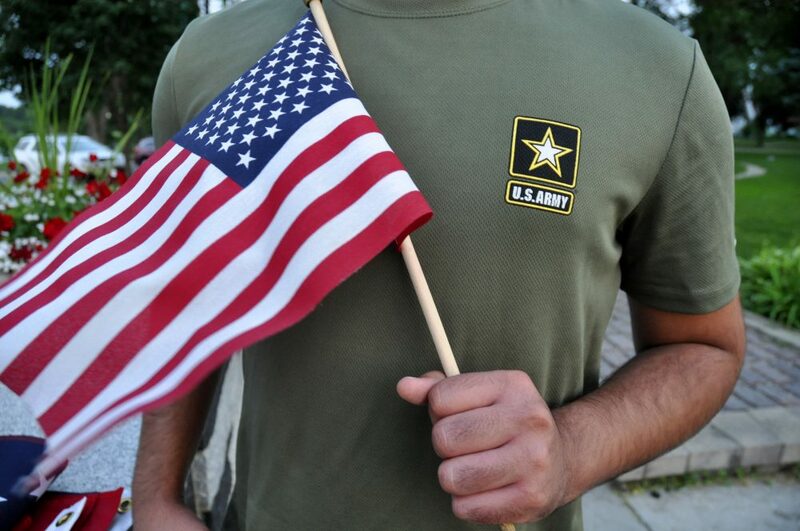 According to recent reporting by The Associated Press, the U.S. Army has been quietly and abruptly discharging recruits who joined with a promise of a path to citizenship. The Pentagon has not confirmed an official policy change — spokespeople say they are unable to respond to questions about any policy changes due to pending litigation -- but given President Trump’s rhetoric with regard to immigration, it strains credulity to surmise that this is anything other than a deliberate attempt to close a legitimate avenue to citizenship for thousands of aspiring Americans. It is difficult to overstate the potential danger of a policy such as this. Aside from the message this sends to immigrants already serving in our armed forces and potential recruits, it perverts the military’s priorities. For any effective armed force, readiness in the primary consideration. Dismissing a potential pool of soldiers for something other than their ability to perform in combat is asinine. In moral terms, disqualifying individuals from service because of the country of their birth is repugnant. Today, less than one percent of the U.S. population serves in the military. The idea that we would turn away qualified individuals willing to swear an oath to defend the U.S. Constitution with their lives — in order to ensure that they never attain legal status as American citizens — is sickening and shameful. It is also entirely in character with the current administration. Using the armed forces as a tool of immigration politics portends policies that could be truly catastrophic. What other criteria will we use to evaluate potential soldiers moving forward? Will they be asked who they voted for in the last election? It may sound alarmist, but once we cross the Rubicon of playing politics with military recruitment, it is difficult to come back. When armies play politics, republics die. When armies play politics, republics die. At best, this latest news wounds the professionalism of our armed forces which, for better or worse, remain the only widely respected institution in this country. In search of a cheap policy win, the administration has squandered some indeterminate amount of that respect. Before the Republican Party swapped its principles for Trumpism, it is not difficult to imagine most conservatives being outraged by this change. While it is likely that the apostates remaining in the national party, such as the dying Sen. John McCain, will register their objections, with 90 percent of their voters approving Trump, it is unlikely that Republicans in Congress will hazard their seats to oppose it. My thoughts are with the immigrants with whom I had the privilege to serve. They are some of the best Americans I know. Under the leadership of President Trump, however, I fear our country is becoming unworthy of such individuals. 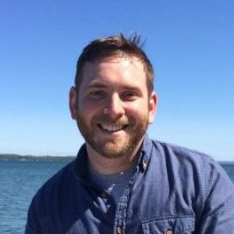 Andrew Carleen is a former public affairs officer in the U.S. Navy who lives in Quincy, Massachusetts.